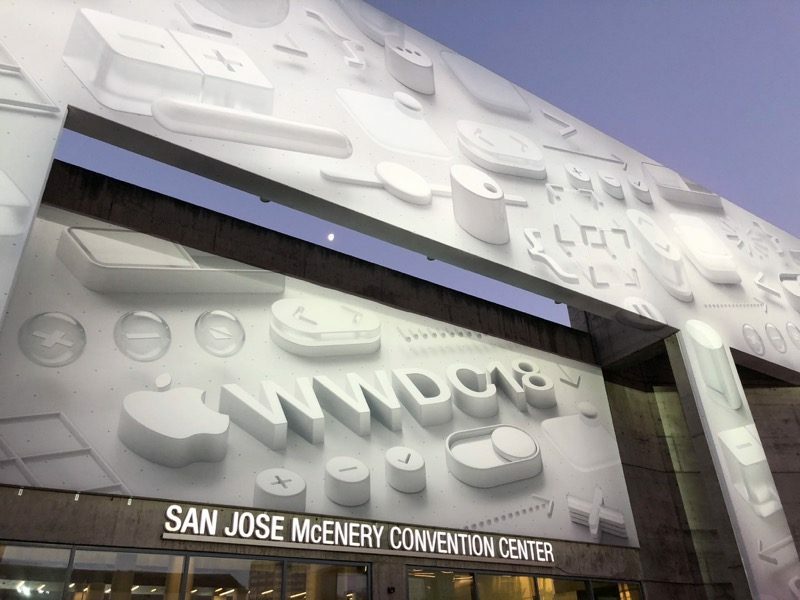 While we were already confident the <!---->WWDC 2019<!----> dates would fall on June 3-7, we confirmed with a source that a large annual event of some kind will be taking place during that week at McEnery. Meanwhile, the second and fourth weeks of June are ruled out due to the already-announced O'Reilly Velocity conference on June 10-13 and the Sensors Expo on June 25-27 at McEnery. The calendar entry lists an estimated attendance of 7,000 people at WWDC, consistent with last year. This total will likely include around 5,000 developers, along with 350 or so WWDC scholars, hundreds of Apple employees, and the media. Apple is expected to announce iOS 13, [url=https://www.macrumors.com/roundup/macos-10-15/]macOS 10.15[/url], watchOS 6, and tvOS 13 at the event. 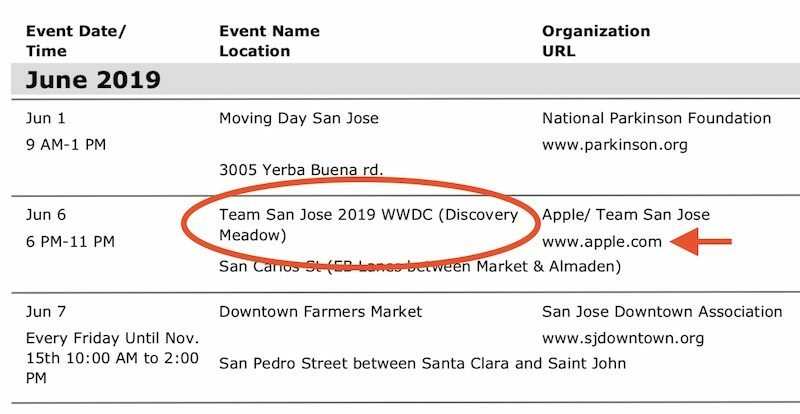 <strong>Update:</strong> All mentions of WWDC and Apple have been removed from the 2019 events calendar, but the June 6 event at Discovery Meadow remains listed with "Team San Jose" as the organizer. Apple is likely simply covering its tracks as it has done several times in the past when information has leaked in similar ways.